3M™ Scotchlite™ C790 Carbon Black stretch transfer film enhances design flexibility and options thanks to its high brightness, rich black color, four-way stretch and durability. 3M™ Scotchlite™ C790 Carbon Black stretch transfer film offers inherent deep black color and retroreflectivity. 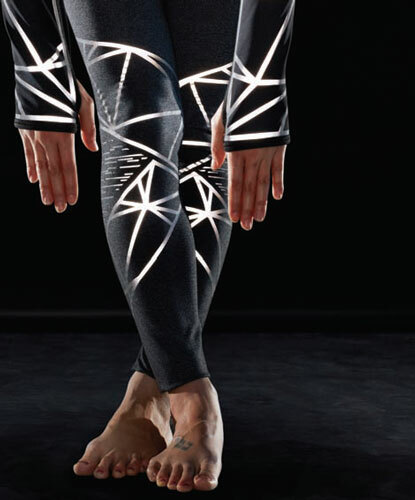 Apparel designers can now stretch their imaginations when creating reflective stretch apparel, whether it be for activewear, lifestyle apparel, sportswear or another such application. Working in collaboration with apparel brands in those sectors, St. Paul, Minn.-based 3M Corp. has developed an inherently deep black, reflective stretch transfer film that can be laminated using a low-temperature bonding process to a range of fabrics — all of which enhance design flexibility and options. The film is offered under the company’s 3M™ Scotchlite™ Reflective Material brand. “The solution that came to be known as C790 Carbon Black Stretch Transfer Film was born from collaborative discussions between Scotchlite and some of the most well-regarded apparel brands in the world,” said Ryan Gallagher, 3M’s global market development manager. 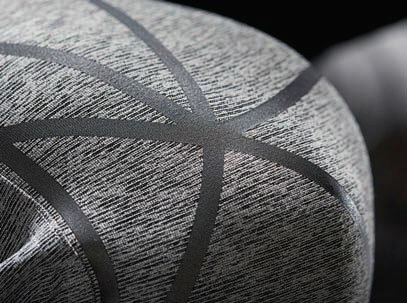 “As their designers have started to integrate visibility into their apparel, colorized reflective has been their choice. They want high brightness; a dark, rich black color; stretch; and durability. The film can be laminated to a wide range of fabrics using a low-temperature bonding process. In the C790 film, the deep black color and reflective material are incorporated into the film solution, compared with conventional colorized silver reflective materials in which color is applied over glass beads bonded to the surface of a substrate. The film offers initial brightness of 300RA, which was identified by 3M’s customers as the benchmark for retroreflectivity for black colorized reflective material. Because it can be laminated to a fabric at relatively low temperatures — between 250°F and 265°F — and offers four-way stretch, it can be used on a wide range of fabrics, including spandex and polyurethane. In testing, its properties have been shown to be durable to 50 home launderings. Targeted apparel markets include activewear, lifestyle and sportswear. “We also have a lot of interest coming from motorsports and also nonregulated occupational workwear markets,” Gallagher said. 3M presented the C790 Carbon Black film to potential customers at the recent Outdoor Retailer Summer Market in Salt Lake City, where it was received very favorably, according to Gallagher. “We also met with some customers that are already developing lines using the materials,” he added, noting that he anticipates end-products featuring the technology will be introduced at retail in Spring 2018. For more information about 3M™ Scotchlite™ C790 Carbon Black stretch transfer film, contact 3mscotchliteinfo@mmm.com; 3m.com/carbonblackreflective.